WEST GIPPSLAND // RECENT fires at the Newport rail workshops will not affect the running of the annual Snow Train this weekend. First published in the 14 August 2015 edition of the Warragul & Baw Baw Citizen. Get your copy free from retailers across Baw Baw. Steamrail Victoria’s popular special will ferry tourists from Melbourne through West Gippsland to the snow at Mount Baw Baw, the townships of Walhalla, Erica and Traralgon and the wineries of Gippsland will run on Sunday as planned. In a post on social media, a spokesperson for Steamrail said the sold out service has not been impacted by two fires which destroyed rolling stock at its Newport workshops in March and earlier this month. “Despite the fire, our 2015 Snow Train will depart Melbourne next Sunday morning with over 500 passengers for the journey down to Gippsland,” the spokesperson said. 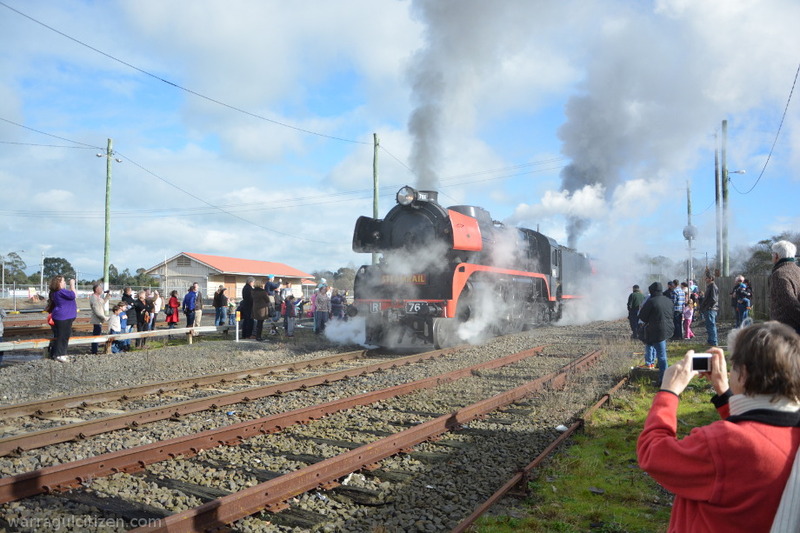 A timetable published in the special’s brochure suggests the train will depart Newport at 08:15 on Sunday, arriving in Warragul at 10:25 on its way through Gippsland. It is expected to leave Traralgon for Melbourne at 17:00, reaching Warragul again at 17:50. The times are subject to change and past years’ services have experienced delays. Steamrail keeps those who want to see the train updated on expected times via its Facebook page – just search for Steamrail Victoria. The service will be hauled by two R class steam locomotives and will feature restored carriages.